You’ve made the decision - maybe even picked out the exact property - to build or buy a clinic. How do you sell your vision to a funder? 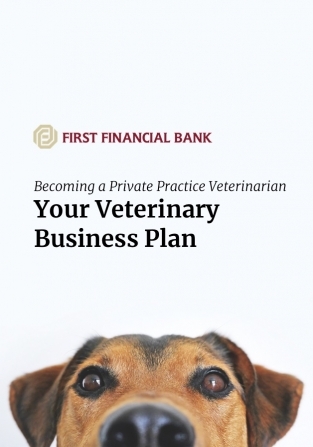 Your veterinary business plan is the answer. Having a strong proposal/summary sets the stage for potentially positive responses to a veterinary business plan. Veterinary practices serve specific markets both geographically, as well as demographically. You’ll want to provide details about the depth and breadth of that local market, both in potential clients - and for existing practices, current clients. Being able to answer additional questions about competition and your plans for optimizing your opportunity to earn that business is key. Number/types of employees (and if buying an existing business, which ones are you inheriting/ keeping - or not) and the projection for salaries, benefits, etc. You outlined the competitive landscape in the prior section - now you’ll need to lay out the details for attracting, retaining and growing the engagement with clients’ families - so when they add another furry family member, you are first stop on their list. Time to get down to the nitty-gritty of asking for exactly what you need for funds, how you plan to use them plus how that relates to earnings potential and capability to repay the loan. If you are building a new clinic, what of this is to be used for the capital outlay vs operating expenses for first x # of years? If you are buying an existing business, what are you planning to acquire as part of the assets, while mitigating the risk of liabilities. Clearly defined details and documentation are the core of a successful veterinary practice business plan.